Alvin Batiste is regarded as one of the major instrumentalists of our time. His performances range from concerts at the Joe Papp Theatre, Carnegie Hall, Lincoln Center, Sweet Basils, Carlosi and the Bottom Line in New York to the Theatre Boulange in Paris. He has performed extensively in Europe, Canada and the United States. He has toured West Africa and appeared in concert in Mali, Ivory Coast, Zaire, Benin and Togo. The clarinetist’s performances at the New Orleans Jazz and Heritage Fair always attracted large audiences. His live recording at Snug Harbor in New Orleans is one of the classic recordings available in the early 1990's on the Evolution Hall Label. The albums Batiste recorded with the Clarinet Summit are historic. Along with the late John Carter, Jimmy Hamilton and David Murray, two albums were prepared for release on the India Navigation Label. The Italian label, Black Saint, released an Atlanta recording session after the Clarinet Summit had appeared in Concert at Emory University. The clarinetist has recorded with Billy Cobham on CBS, Julian Cannonball Adderley on the Capital and Fantasy record labels, and with Freddie Hubbard in London for Black Saint. He has appeared on two albums by Wynton Marsalis for CBS. The very first Jazz recording the clarinetist appeared on was with the American Jazz Quintet featuring Edward Blackwell, Ellis Marsalis, Harold Battiste and Richard Payne. 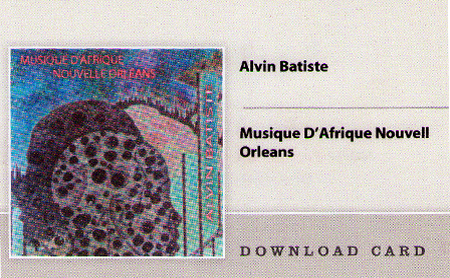 Batiste toured France, Portugal and Norway with the Arne Wilkins All Stars. Check back daily for new codes!